No, I know; you thought "web of intrigue" was just a neat catchphrase. But every time a secret is born, a spider emerges from the shadows. It bears the secret, holds on to it, nurtures it and draws strength from it. The nature of the spider is rumored to have some relation to the type of secret that it bears. 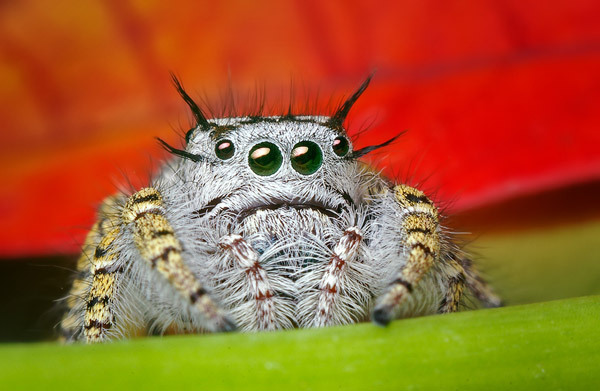 Jumping spiders bear secrets of individuals, while those that spin webs bear secrets that touch upon multiple parties. Sages have debated the significance of the number of strands or the size of the web, but no conclusions have been reached. 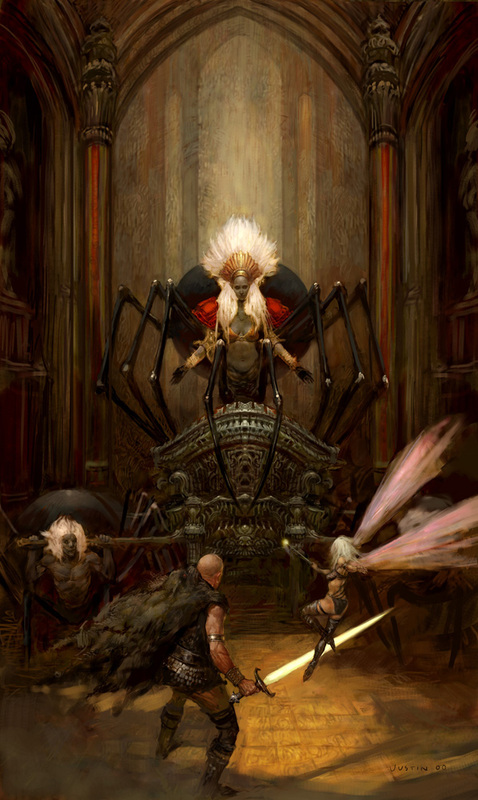 This entire discussion has obvious relevance for some traditional D&D groups, particularly those that might, for instance, have societies based around spiders and place a high premium upon noble intrigues. In such societies it is considered taboo to harm a spider. Rather than a piece of vanity on the part of a Spider Goddess, however, this is practical advice in the great game of the noble houses. Destroying a spider means that the secret is lost; seducing a spider means that you might be able to convince it to give up its secret. Of course, you'd have to give it a new one in exchange - namely, another spider for it to devour. Gifts of spiders between noble houses are not uncommon - in some cases, they are the secrets of others, traded back and forth, while in others they are secrets of one house being given as a sign of good faith.